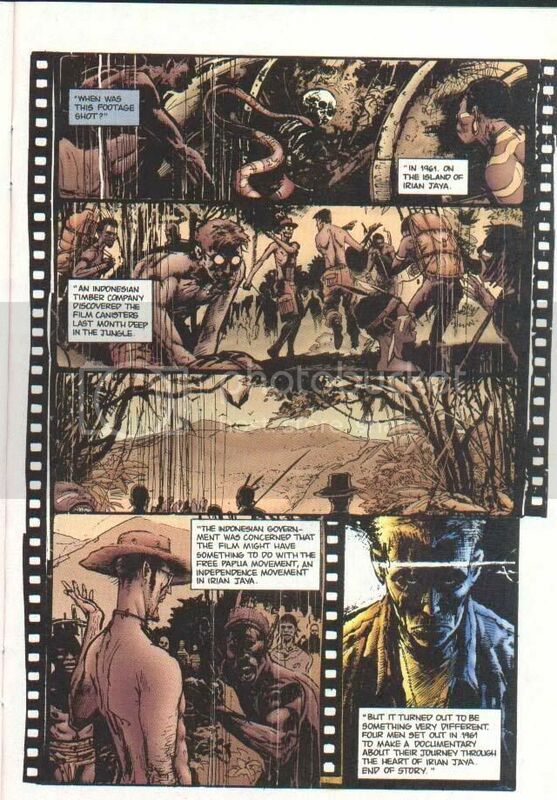 GI JOE EXTREME VOLUME TWO ISSUE #4- BLOOD FOR THE BARON!!! Okay this is alot of peoples favorite issue I dont know why because this is by far my least favorite issue. The past collides with the future as the GI Joes' tough-as-nails living legend, Sgt. Savage, enters a virtual-reality simulation of battle-torn World War II Germany! But when the program goes haywire, Savage isn't sure if he's experiencing VR or the real thing! If he dies in the program, he dies in real life, and the only way back to his reality is through an entire army of very real Nazi soldiers! Review of the issue can be found here. I would rather have seen a flashback with Sgt Savage and the Screaming Eagles vs the Iron Army or the Nazis'. 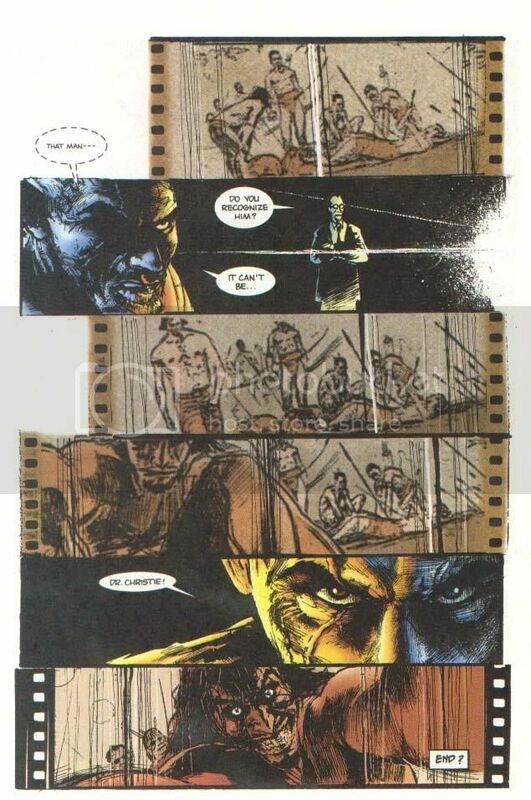 Special note ( Colonel Kreiger does apppear in the comic and is a nice nod to General Blitz from the savage Line ) I personally hate all the Matrix stuff ever being in a Joe Comic. Loved the Matrix movies but that is just not JOE and shouldnt ever be in Joe. And here is a good review of it. 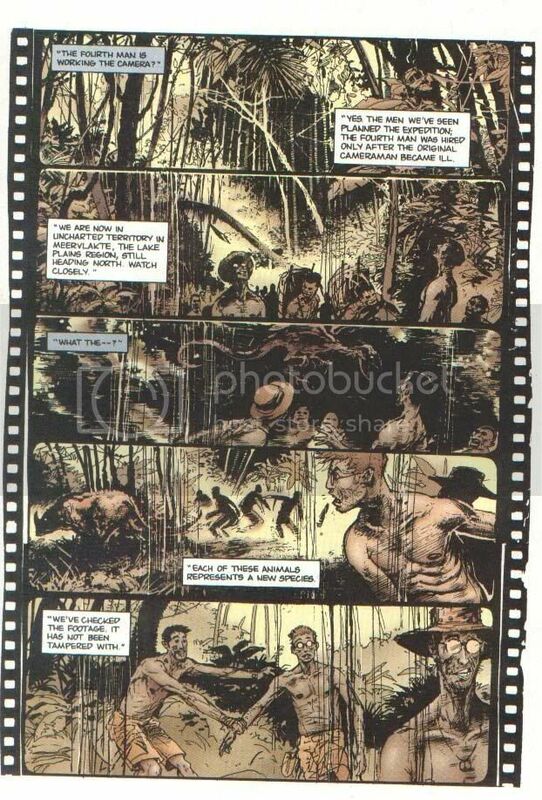 Summary: We open with what appears to be a film of men in a jungle, accompanied by buck nekkid natives and strange beasts, all shown in sepia tones. A man whose face is in shadow asks Clancy what this has to do with him. "Wait and see," he's told. "That's a P-38 Lightening,' Clancy says as the wreckage of a plane comes on screen. "We're in the South Pacific,' the man says. "Indonesia, to be precise,' says Clancy via caption. "That plane was knocked out of the sky durign the Hollandia Campaign in the Spring of 1944." "When was this footage shot?" asks the man who appears to be GI Joe. "In 1961, on the Island of Irian Jaya," Clancy says. "An Indonesian timber company discovered the film canisters last month deep in the jungle." Clancy continues: "The Indonesian government was concerned that the film might have something to do with the Free Papau Movement, an independence movement in Irian Jaya. But it turned out to be something very different. Four men set out in 1961 to make a documentary about their journey through the heart of Irian Jaya. End of story." The footage shows three of the men. GI Joe asks "The fourth man is working the camera?" Clancy: "Yes. The men we've seen planned the expedition; the fourth man was hired only after the original cameraman became ill. We are now in uncharted territory in Meervlakke, the Lake Planes Region, still heading north. Watch closely." On screen, a creature that looks like a winged raptor shows up and in the next panel, we see a horned lizard critter. Both creatures look realistic, but are clearly not any known animal. "What the --?" says GI Joe. "Each of these animals represents a new species," says Clancy. "We've checked the footage. It has not been tampered with." We see the three documentary makers looking about, wide-eyed with amazement at the new species. Then, they're brought down by a hail of naative arrows. All three are killed. "I still don't understand,' says Joe. A man dressed in western pants, clearly not a native, shows up on screen. Joe recognizes him as a "Dr. Christie" but says that it can't be who he thinks it is. The possible Dr. Christie steps over, picks up the camera and grins wildly into it. And then, the issue ends. For good. Next Issue: GI Joe is going on hiatus with this issue. 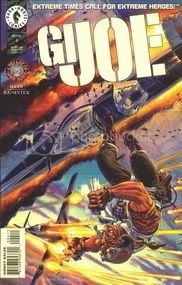 Both the creators and Dark horse Staff involved with the book have genuinely tried to create a fun, refreshing comics version of GI Joe. In general, the fan response has been enthusiastically positive and is very much appreciated!? And while the 'Joes are regrouping don't let that fan feedback waiver. We still want to hear from you. Thanks for the support! Commentary: AUUGH! GODDAMNIT!! . Okay, I'm better now, but I'm sure you can understand my outburst. I mean they knew the series was going to end by this time! Why use a multi-part story for the backup? There's not even much I can say about this episode. 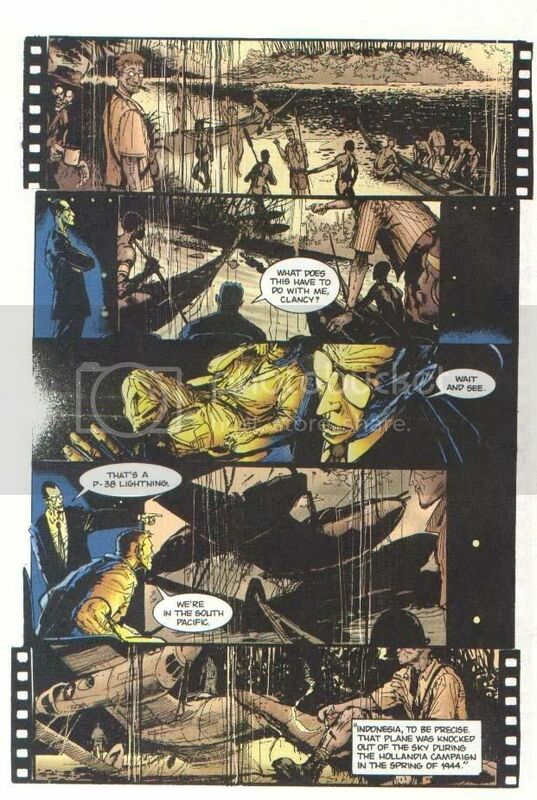 It's a nice bit of exposition and the art is funky but not in a bad way. My biggest complaint is that all this exposition leads to a total of nothing since the story rams itself into a wall here. GAHHH!!!! love the frank teran art, havent seen too much of his artwork tho. I remember thinking how angry I was when the comic was just cancelled without any warning Maybe they knew something I didn't!!!!! !